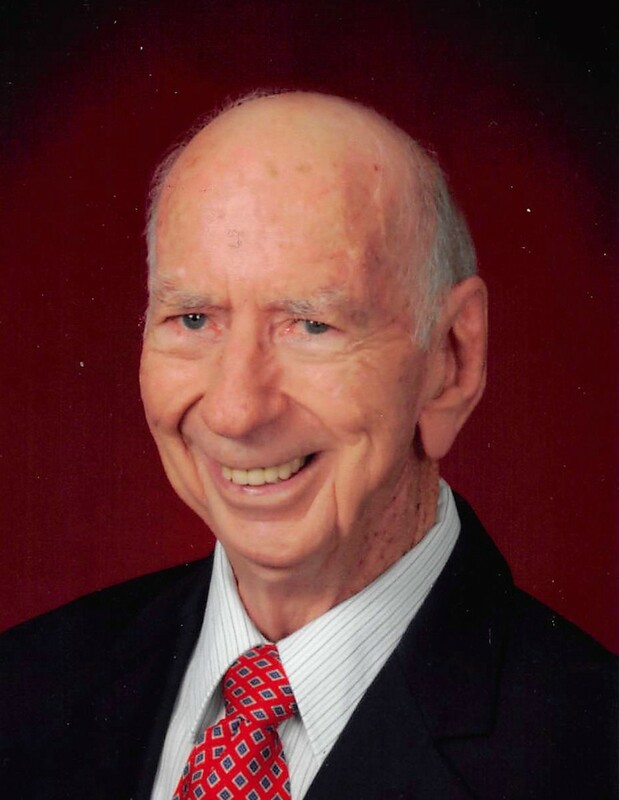 Cade Edward Carter, Sr. of Baton Rouge, passed away peacefully on Friday, April 12, 2019, at his home. Born December 5, 1932, in Elberton, Georgia, he was a graduate of Hartwell High School, followed by active service in the United States Navy during the Korean War. Cade received his BS in Agriculture Engineering from the University of Georgia (1962), and his Masters from Louisiana State University (1972). An employee of the United States Department of Agriculture, Cade was a published author of many research papers and projects, a recipient of the Engineer of the Year Award from the Louisiana American Society of Agriculture Engineers, and the inaugural recipient of the LSU Department of Biological and Agriculture Engineering Distinguished Alumni Award in 2015. Cade was the founder of the LSU Department of Biological and Agriculture Engineering’s Scholarship Fund. Noteworthy of Cade’s distinguished career is that his initial Masters thesis research on Raindrop Characteristics in South Central United States became the backbone of a formula which is utilized and recognized worldwide and continues to be referenced in many publications. He was a member of the American Association of Agriculture Engineers, an adjunct professor at LSU, and an active member of St. John’s United Methodist Church. Cade was a teacher of the Founder’s Class at St. John’s for many years and served as Chairman of the Council Board and served on the Council Ministries and Finance committees. Cade also was an active member of the LSU Retirees Club. He was an avid fan of LSU football, basketball and baseball, enjoyed working on his own car, computer and appliances when needed, and he loved to travel. Preceded in death by his parents, Mack and Minnie Carter; one sister, Ellen Mewborn, and three brothers, Mack, Robbie and Jimmy Carter. He is survived by his wife of 65 years, Patsy Brown Carter, of Baton Rouge; his son, Cade Edward Carter, Jr. (wife, Erin), of Baton Rouge; and his daughter, Kimberly Carter Bernard (husband, Mike), of Norcross, Georgia; five grandchildren, Cade Carter and Sarah (husband, Kerry) Eichelberger, both of Baton Rouge, Brittney Bernard of Lilburn, Georgia, Austin (wife, Courtney) Bernard of Atlanta, Georgia, and Mason Bernard of Norcross, Georgia, and one great-grandchild, James Carter Eichelberger. Special thanks to his primary physician, Dr. Harold Brandt, his Home Instead caregivers (Vardin Duncan, Marie Jones, Jessica Jarvis and Shawanda Williams), and the staff of Hospice of Baton Rouge. Cade will be deeply missed by his friends, family, and all who knew him. The family will receive friends from 9:00 am – 11:00 am on Tuesday, April 16, 2019 at St. John’s United Methodist Church, followed by a Celebration of Life Service at 11:00 am. Reverend Lane Cotton Winn and Reverend Deirdre Halliburton will officiate. Graveside Services will be held on Thursday, April 18, 2019 at Cokesbury United Methodist Church Cemetery in Hartwell, Georgia. In lieu of Flowers, donations may be made to St. John’s United Methodist Church, 230 Renee Drive, Baton Rouge, Louisiana 70810; Cokesbury United Methodist Church, 2207 Cokesbury Highway, Hartwell, Georgia 30642, or to The Hospice of Baton Rouge, 3600 Florida Boulevard, Baton Rouge, Louisiana 70806.